Secondary containment protection solutions typically possess only one or two of the three properties required for continuous performance: resistance to penetration, resistance to chemical attack and resistance to movement. 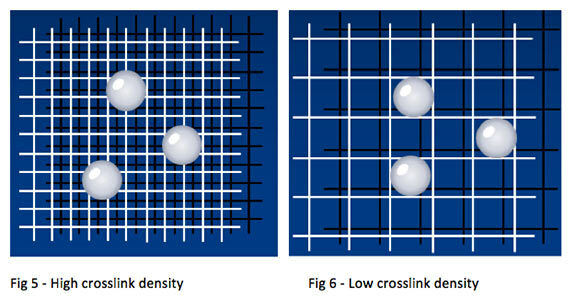 Conventional chemical resistant coatings have high crosslink density. They are rigid and inflexible due to difficult to break bonds, yet offer an excellent chemical resistance barrier due to their relative impermeability. Flexible coatings on the other hand, with the exception of rubber, have low crosslink density and offer good flexibility, but they are permeable, thus acting as a poor chemical resistant barrier. When specifying protection for a concrete structure, the system needs to be able resist chemical attack and possess a certain degree of flexibility, sufficient to bridge cracks in concrete, if such were to appear. 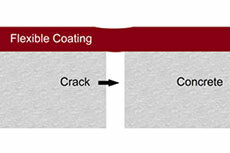 Innovations in polymer raw materials allowed for a novel coating development, which is designed specifically to offer chemical resistance and crack bridging features. 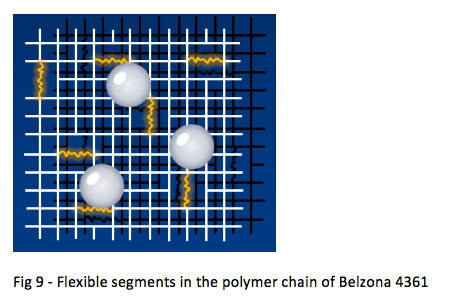 Back in 2009, Belzona, a manufacturer of specialist coatings and repair composites, started to investigate a new coating concept. Taking the desired design parameters into consideration, Belzona’s R&D Department developed a hybrid polymer technology incorporating a new resin, which provides desired flexibility, and additional raw materials designed for chemical resistance. Development took over four years due to long term chemical testing. Ruckseeta Patel, R&D Chemist who led the development of the new coating, commented: ‘Prior to releasing a new material to the market, we ensure that it is thoroughly tested. This coating was tested against a very broad range of chemicals at various concentrations and we are very happy with the results. Some independent testing will also continue for another 18 months.’ Based on the initial feedback the system is expected to become a welcomed solution to replace coating systems that currently exhibit cracking. The new coating system is titled Belzona 4361 and combines the desired chemical properties with the sufficient flexibility to remain intact if a crack appears in the underlying substrate, due to the incorporation of flexible segments in the polymer chain. Good flexibility/ crack bridging properties. Good adhesion to concrete and steel. Low surface bloom and good cure over a range of ambient temperatures. Put it to the test! In order to ascertain its suitability for protecting bunds from chemical attack, the new coating was subjected to a series of tests over four years. Elongation was measured in accordance with ASTM D412 and recorded at 20% when cured at 20 °C/68 °F. To ensure the coating maintains its flexibility at low temperatures, a test in accordance with ASTM D552 was performed, resulting in a pass at temperatures down to 0 °C/32 °F. A bend test was also performed, where the steel test panel was bent at a 90° angle. Visual inspection showed no signs of cracking. Chemical resistance was tested against one of the market leaders’ coatings, taking into account most common chemicals which are contained by bunds. 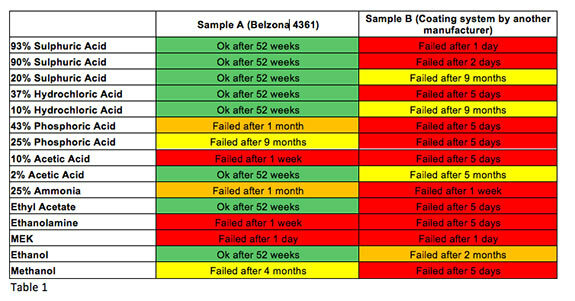 Test panels were immersed in specified chemicals for the duration of one year see Table 1 for detailed results. Sample B (Coating system by another manufacturer) showed signs of failure quite rapidly after only a few days of exposure. Sample A (Belzona 4361) on the other hand was able to withstand the test media for longer periods. 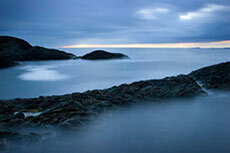 The WHG Approval is part of a German water law for protecting surface water and groundwater. Only secondary chemical containment coatings with WHG Approval can be used in areas where strict regulations are in place in order to protect potable water against chemical pollutants. The testing takes two years to complete and Belzona 4361 passed a key milestone, the first six months of testing. WHG presents a rigorous independent testing and the results will be equally relevant in Europe and globally. The full WHG approval consists of a combination of crack-bridging, chemical resistance and aging tests. First, a number of concrete test blocks specially designed to test crack-bridging ability are coated with Belzona 4361 in accordance with the recommended application procedure. After cure, crack-bridging tests are first performed by creating a crack within the concrete and ensuring the coating remains intact. This is followed by chemical resistance testing where the chemical is positioned onto the test coating so that the crack in the concrete is directly underneath. Signs of chemical attack are visually observed, in particular to see if the chemical reagent attacks the test coating severely enough to penetrate through the crack due to the reduction in film thickness over the crack. To replicate real life exposure or aging, the remaining coated test blocks are respectively stored in damp sand and placed outdoors. After six months and two years respectively of aging exposure, crack bridging and chemical resistance tests are repeated. Belzona 4361 has recently passed the crack bridging and chemical resistance tests after six months of aging exposure and will be repeated again in 18 months time. To see the application of Belzona 4361, view this video. Marina Silva, Belzona Polymerics Limited, gives an overview of secondary containment. According to GlobalData, refinery throughputs suffered a rapid decline throughout the third quarter of 2013, as poor refining margins and maintenance programs took their toll on industry profitability.